Lets try and outline the profile of the likely BlackBerry Pearl 3G user. To begin with, its either a guy or a girl. That one was easy business phones usually have unisex appeal. It has to be someone who absolutely needs the BlackBerry service for the corporate-grade security or whatever other reason. And they need to meet at least one of the following requirements: a) cant afford the BlackBerry 9700 Bold or b) think the Bold and the Curve are too big and have too many buttons. 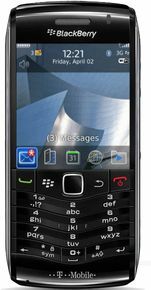 Will a QWERTY-free, slimline BlackBerry make merry in the mass market? Good quality images, with numerous options for sending photos.